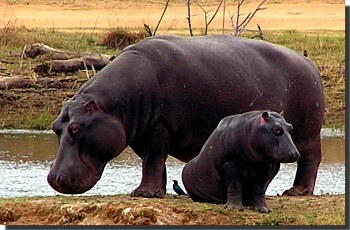 Uganda safari trips are all about spotting one of the most endangered species left on the planet. The Mountain Gorilla. There are only about 800 of these gentle giants (male silverbacks can tip the scales at over three hundred and fifty pounds) left in the world. About 340 live in the Bwindi Impenetrable Forest National Park in Uganda and about 460 inhabit the Virunga mountains of Rwanda and Congo (Zaire). None are to be found in captivity. Their fate is still very uncertain with the threat of poaching, habitat encroachment by humans and regional instability constantly hanging over them. So if you are planning to see these magical creatures outside of history books and photographs, there is no time like the present, because soon they may be gone forever. The one constant thread that seems to run through every travel review written about a Uganda safari to go and see the mountain gorillas is that all the participants agree that it is undoubtedly one of the best wildlife experiences that they have gone through. There are also three other Uganda safari wildlife areas that are well worth your time to visit: Queen Elizabeth National Park for its unique resident tree climbing lions and bird life, Murchison Falls to see the origins of the Nile and Kibale to track the chimpanzees. The national park where half of the worlds remaining population of mountain gorillas live is as dense and as vibrant with animal and plant life as can be found anywhere on the continent. 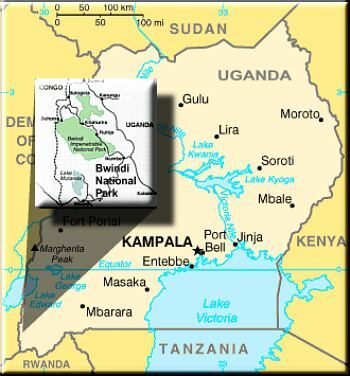 It's located in south western Uganda and covers 331 sq kilometres, making it one of the largest forests in East Africa.